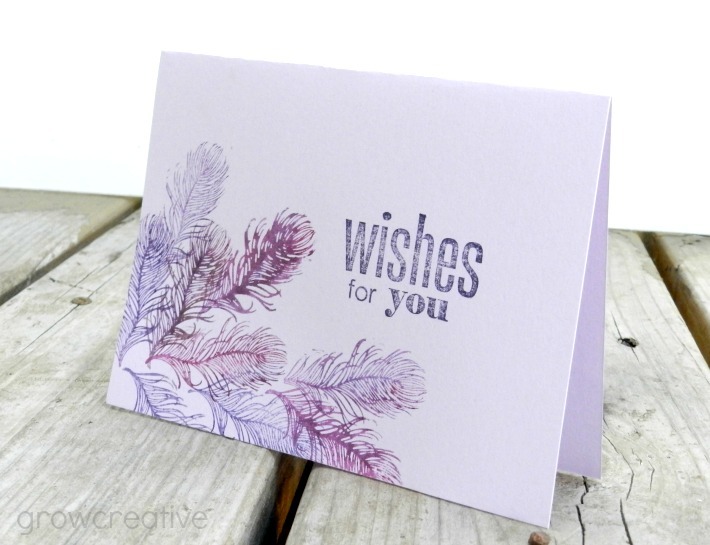 My latest card creations designed with ....... yep, watercolors! 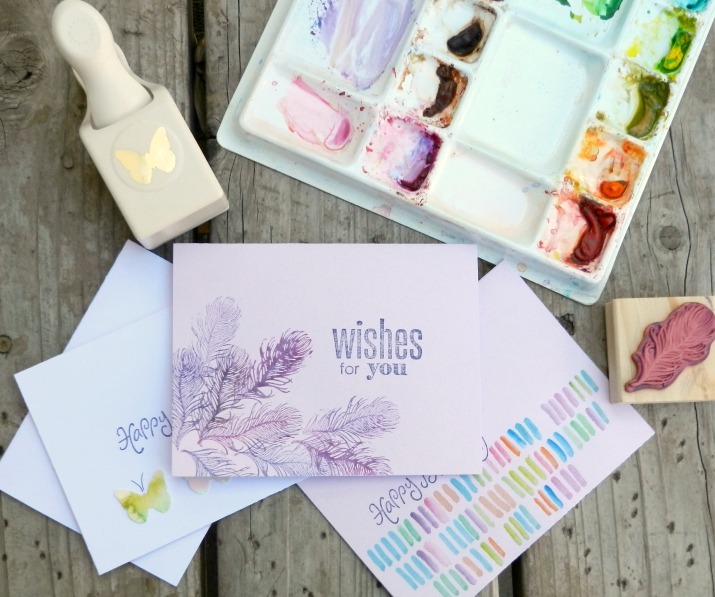 I scored a new feather stamp at Michaels for $1...... I love finding stuff like that for so super cheap. I slathered some watercolors on it and pressed it to the paper to make the design. It's really easy, you just have to make sure to not use watery paint. Keep it nice and thick and it turns out looking almost like ink. Cool! 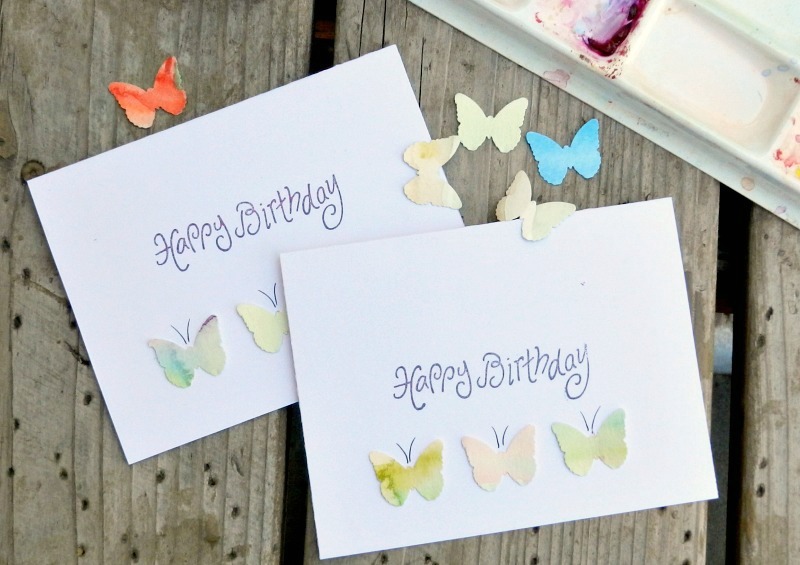 And these cards are decorated with butterflies punched out of old watercolor reject paintings. Ones that were not going to get sold or hung up in my house. 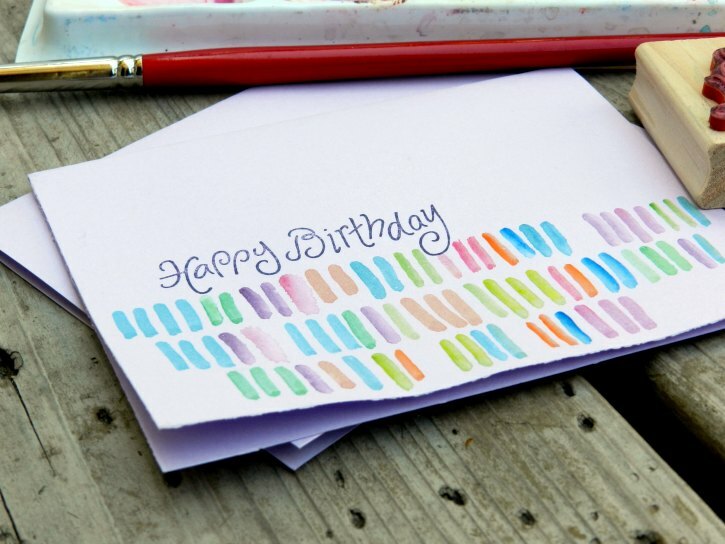 So why not recycle them as birthday cards? Thank you for explaining how to do these. I love all your work! I LOVE the "wishes for you" card! So pretty!